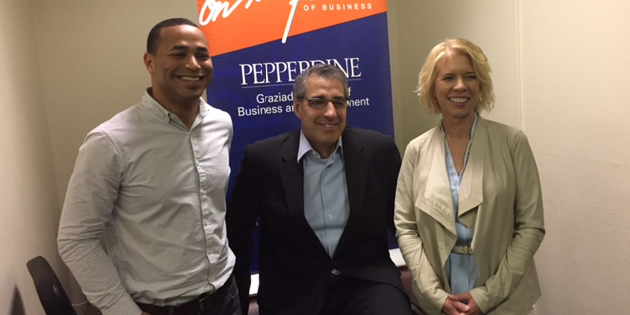 Why did you choose Pepperdine Graziadio Business School? "I choose Pepperdine Graziadio because it is a top-ranked school. It is local and a Christian university aiming to give students a sense of purpose, service and leadership. I looked at other top-ranked schools, but Pepperdine was unique in that it met all three of my requirements." How would you define the "Pepperdine difference?" "Pepperdine Graziadio is unique in that students and faculty have the mentality of servant leadership. Dr. Larry Cox is a good example. I encountered Dr. Cox in class and he became a mentor. Even today, years later, Dr. Cox remains an instrumental influence in my life. In fact, I recently taught an undergraduate course in nonprofit finance at Seaver College and Dr. Cox mentored me with my teaching." 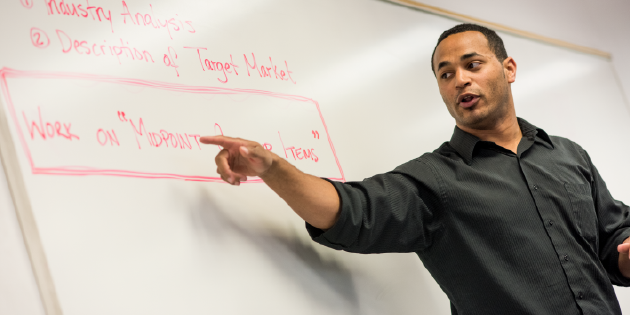 How did getting your MBA from Pepperdine help to advance you in your career? "I have a strong desire to use my business and education background to serve those in need. At Pepperdine, I received the training, knowledge and confidence to function in this position. I came into contact with my current employer, the Pepperdine Microenterprise Program, through the University. I had first-hand volunteer experience with the program as an MBA student. I also made excellent connections to help propel my career forward." What is one lesson learned at GSBM that you have been able to apply to your career or personal life? "A lesson I have learned at the Graziadio Business School is that financial success does not have to be separate from performing service and doing good in the world. The two can, and should, work together." What is your favorite GSBM memory? "There were several of us married guys earning our MBA at the same time. We were older, we had families, and all of us lived near each other. We called ourselves the 'Calabasas Crew.' We've forged lifelong friendships." How would you describe your ROI on your MBA? "You will earn a quality education at Pepperdine, but the connections with mentors, speakers, faculty, and others are what can propel your career to the next level. Also, don't pursue a job for the sake of the job. Do what you are passionate about. The biggest ROI is being able to do what you love as your career." "My goal in 10 years is to build and grow a large company that's also a social enterprise. I see myself helping a business grow in a positive way following the Socially, Environmentally, and Ethically Responsible (SEER) business approach taught at Pepperdine Graziadio Business School. I want to make a living with an organization that is changing lives and making the community a better place." Keith Obilana oversees the Pepperdine Microenterprise Program, a program that partners with transitional shelters in the Greater Los Angeles area to provide residents with an education focused on personal growth, career development, and entrepreneurship. The program helps budding entrepreneurs to become gainfully employed and launch a micro-business. Under Obilana's leadership, the program has forged a partnership with Banc of California and received media attention from respected news outlets such as CNBC. He previously developed and implemented programs with other non-profit organizations that serve at-risk populations. Obilana received his MBA from Pepperdine University Graziadio Business School in 2013.